Binx and Bandit are brothers and so close we can’t possibly separate them. Bandit loves to give Binx a good wash and often pins him down to do it, not that Binx minds!! 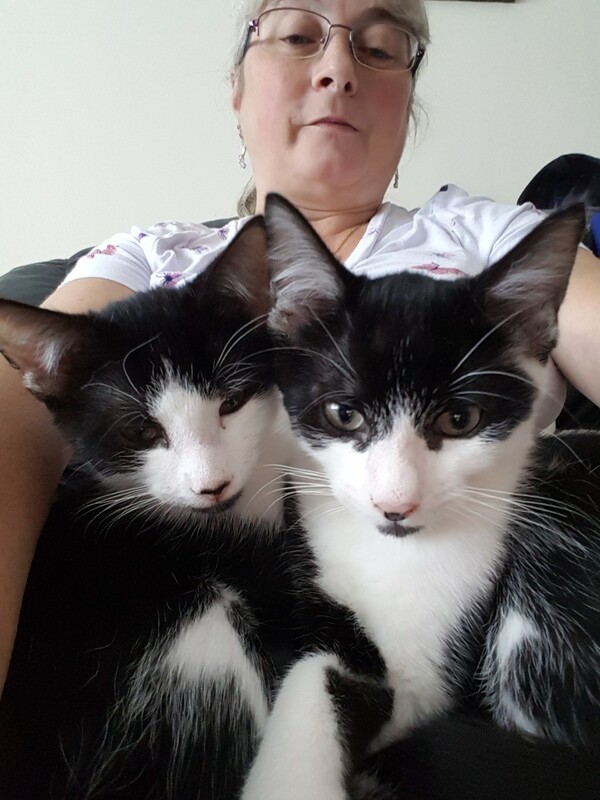 Although they came to us as tiny strays they love being around people and like nothing more after an intense play session, than curling up together and purring loudly on a vacant lap. They can be timid around very young children but are not shy for long normally. They have been vaccinated, vet checked, given flea and worm treatment and are just going in for neuter and microchip, If you would like to give a loving home to these two sweet little chaps, please complete the online form.